The day bar will become our „living room“ and a place of communication and social interconnection: for neigh-bors, guests of our boutique-hotel and creatives in search for a quiet spot to work in an inspiring environment. An incomparable boutique-hotel in Munich. A 110-sqm-loft at the souterrain but 3 m ceiling, terrace, filled with art, carefully designed interior and alternating fresh art of the dedicated artists of our gallery. Exhibitions, openings and private sales for art-collectors home in Munich or on stay for a visit in town. For people beyond mainstream and in search for a different life-style out of inner imperative. Either talks in privacy and small circle or seminars of up to 20 participants with multimedia presentation off the usual prosaic conference room: here you are allowed to feel at ease and immediately create a comfortable communication level. 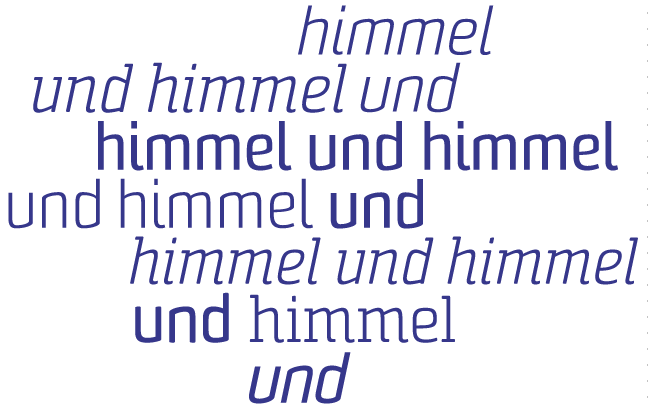 The concept of the HIMMEL UND HIMMEL Bar Hotel Gallery in Munich’s Glockenbachviertel is unique: The Downtown Hideaway is an art oasis and melting pot for artists, musicians, designers, architects, filmmakers, actors, models, photographers, authors, entrepreneurs, art and culture interested. Spending time in this multi-faceted place – whether as an overnight guest in the “heaven and heaven” boutique hotel in the middle of Munich, on a drink in the directly adjacent “heaven and heaven” day bar or at an art event in the “heaven and heaven” gallery – it’s a “priceless” experience, something you can not buy for money. Are you a company that stands out from the ordinary? Do you stand for creativity and solutions outside the mainstream? Or are you someone Creative and unique and want to invite friends for dinner into a place that represents you best? Then you may find the right meeting room or seminar room in Munich in the homelike artistic atmosphere. Use our heaven as your own home.